As a huge Pony Effect lover, I could not hold myself back from buying a couple of the Intense Eye Tints. No Surprise and Counting Stars really stood out to me and so those were the ones I got! Even though these are called Eye Tints, they're just liquid eyeshadows that are packed with shimmer and some micro glitter. They don't actually tint your eyes and instead just give a tint of (buildable) color. Each tube contains 7 grams of product and retails for $15 on the Memebox website here (for US residents). The packaging has a slanted doe foot applicator but they're a bit more like a scoop. The formula isn't too liquidy and instead is more gel like and so this kind of packaging does work really well. No Surprise is a burgundy shade with purple undertones and rose, gold, and purple shimmers/micro glitters. This shade was the first of the two I tried and it gave me high hopes for the rest of the line of eye tints. Since it's currently fall, I do see myself reaching for this color a lot since it's perfect for the office since it's not too red or purple but still different from a neutral shade. The pigmentation is a bit hard to describe because it's contradictory. A small dot of product is enough to cover the whole lid and looks as pigmented as the color in the tube, but it blends out to be more sheer. Because of this, you do need to go slow to build up the pigmentation. I did 2-3 layers of No Surprise all over the lid (also a tiny dot of Counting Stars in the inner corner) but most of the layers are concentrated near the lash line to get that blended / faded out look. Counting Stars was actually pretty hard to photograph in the tube and also on the eye. It has a pinkish peach base with gold shimmer and micro glitters but it's sheer. When the packaging is photographed, the gold does reflect a bit too much and looks more mixed in with the base and so it does look more on the yellow side. On my skin tone, Counting Stars is too sheer and too light to really show up on me. It might show up better on paler skin tones though, but I wouldn't recommend it for anyone that is around MAC NC35 and above. At most, I can use this for an inner corner highlight but it's not that usable for me. I found that the best method to using these liquid eye tints is the same as all the other liquid eyeshadows I've used - quick tapping swipes across the lids. 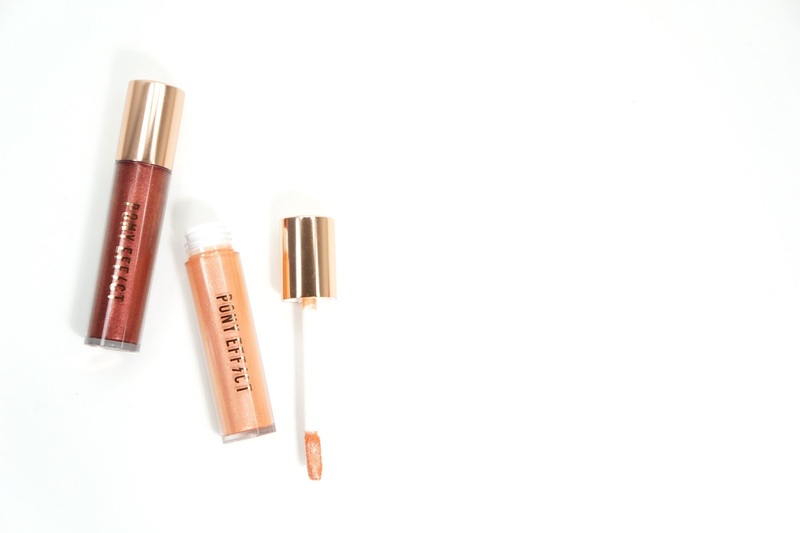 Even though these products are sheer once blended out, they are pigmented right out of the tube and so I only put on a tiny bit on the lids and then slowly build up the color. I did want these products to be as pigmented as it looks unblended/in the tube, but I'm glad that the darker color is buildable. When worn by themselves, this product does crease on me but does last longer with primer or powder on top of it. My lids have been extra oily though since it's been around 90 degrees (that's Southern California for you!). 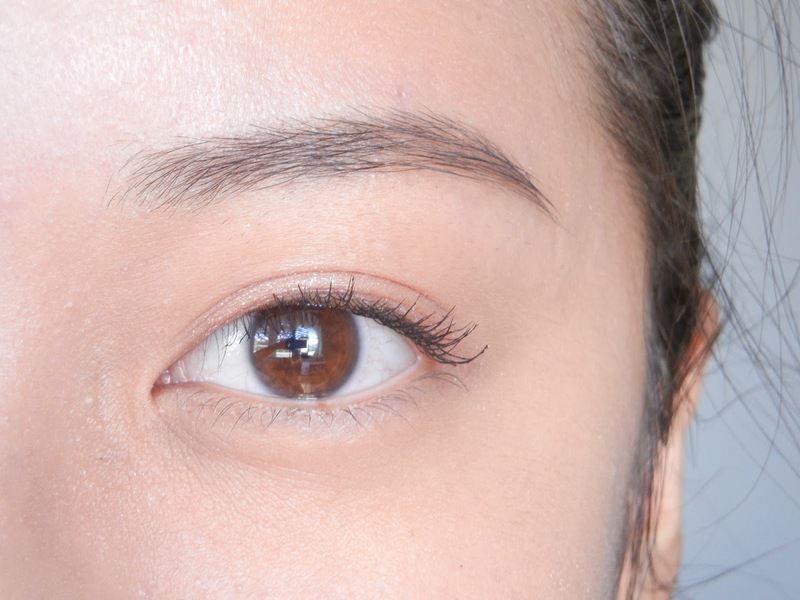 Final thoughts: I'm actually pretty meh about the Pony Effect Intense Eye Tints. I did really like the color and effect I get with No Surprise, but I already have other powder eye products that gave me the same look with less effort. 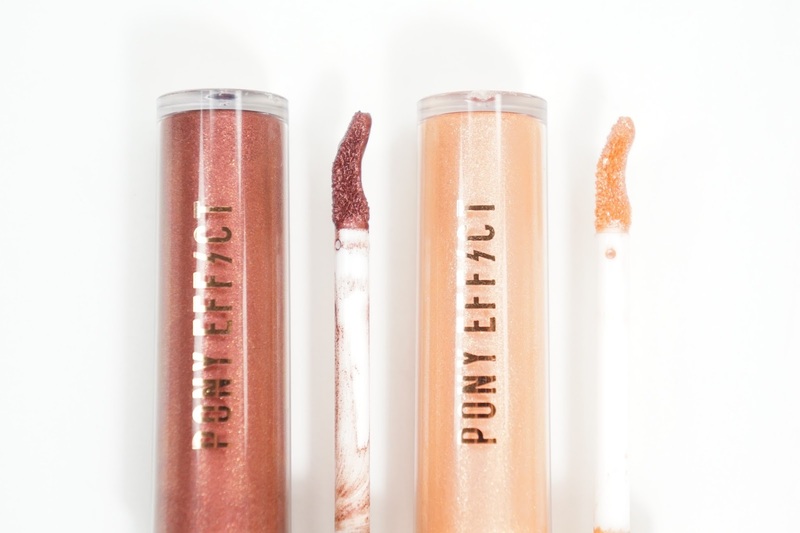 In general, I haven't had much luck with Pony Effect eye products though and much prefer their face and lip products. 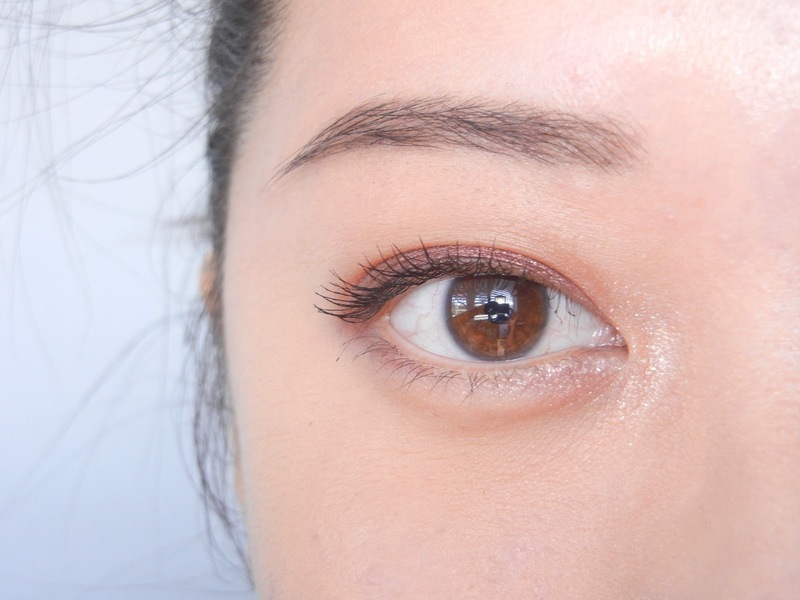 These Eye Tints are also pretty sheer and so if you have a medium skin tone or deeper, the lighter colors probably won't look any different. I thought Counting Stars was gorgeous in the tube, but just looked like slight shimmer and shine on my eyes. They're also a bit finicky to use because you have to work quickly and be careful with how much you use. I would skip on these eye tints and instead buy their face or lip products instead. If anything, I do recommend No Surprise because of the color but I'm also meh about it, which makes me sad because I do like the brand. Have you tried the Pony Effect Intense Eye Tints? 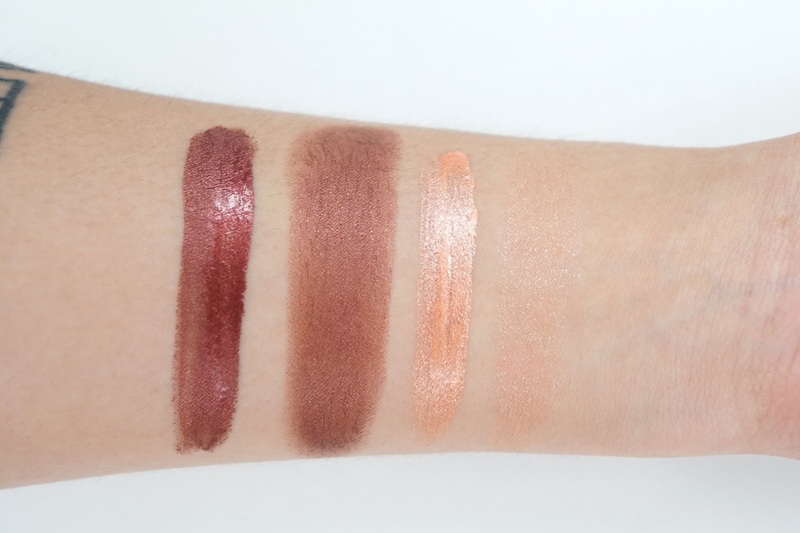 How do you feel about liquid eyeshadows?